New MRF in Minnessota features technology from CP Group | MSS, Inc.
recovery facility began operating in November of 2013 and serves the Twin Cities and greater Minnesota and has created over 50 new jobs. 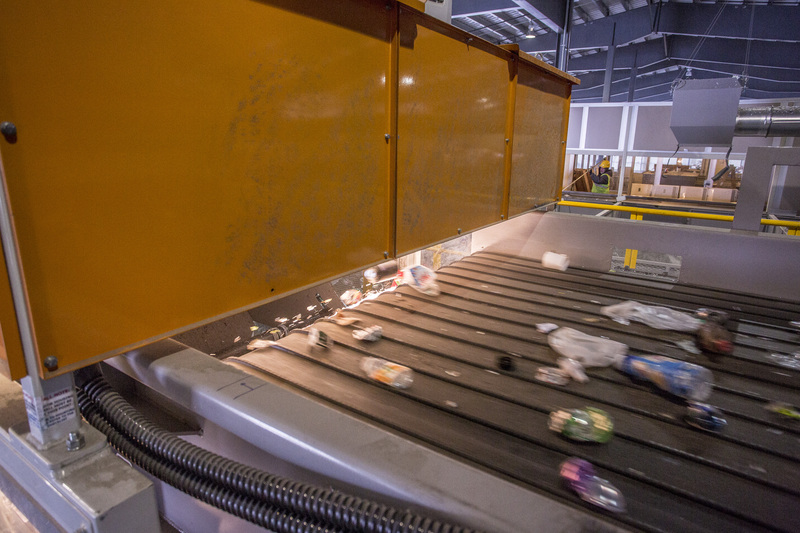 The system is housed in a new 60,000 square foot building and has the capacity to process 275 tons of recyclables a day, providing surrounding communities the opportunity to participate in single stream recycling. The Dem-Con team has implemented a unique forward-thinking educational room within the facility where community members, school children, and the public can view the recycling process in action. Dem Con understands the importance of education and has invested programs teaching how the facility works, what materials residents can and cannot recycle, and what residents can do to increase the amount they recycle. The new educational room contains a blown-up 16’X5’ 3D rendering of the system where the Dem-Con team can “walk” people through the system before they head out onto the site floor. It also contains an end market room that allows individuals to get hands-on experience while learning what materials can and cannot be recycled. “We are excited to provide these services to the Twin Cities and greater Minnesota and be an active part of increasing recycling rates and diverting more materials from landfills,” Bill Keegan, Vice-President Dem-Con. The highly advanced MRF with all equipment provided by the CP Group includes the latest in recycling equipment technology. The proprietary screening technology separates all fibers from containers, and the MSS Aladdin™ optical sorter separates plastics to be recovered and recycled. The system also contains a magnet for metal capture, as well as 2 IPS Balers: a two-ram baler for multi-material baling, as well as the Conquest™ for fiber baling. “I am very impressed with the commitment Dem-Con has made to recycling, to education, and to giving back to the community. The Dem-Con team is a highly progressive group, and are clearly becoming one of the leading vertically integrated recyclers in the Midwest, as evidenced by their single stream/commercial recycling as well as their construction and demolition recycling operations. Dem-Con walks the talk when it comes to recycling,” says Howard Fiedler, CP Group Sales Engineer.